Enjoy these delicious recipes from our wonderful JAP cooks, you will be busy in the kitchen and your family will thank you for it. There are many others to follow, enjoy everyone. Thanks for including my recipe in your book. I love to cook and bake and having one of mine in your cookbook is an honor. I'm so honored you included my recipes in your terrific cookbook. Thank you. Thank you for such a sweet comment, I was surprised I made another cookbook, sometimes I think there are no more ideas for another book and then I get one and I am honored that you and other great cooks enjoy the recipes. Enjoy Nancy! 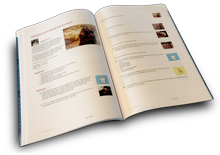 I love your recipes and enjoy adding them to the cookbooks I make so others may enjoy them as well. Plz enjoy! It was a honor to include your recipe and I enjoyed making the cookbook, many JAP cooks inspire me. Ty for liking the cookbook. Ty for liking the cookbook. I hope you enjoy the recipes. Your recipe will be enjoyed by many too. Eileen, so many yummy recipes and another great cookbook. Hope you enjoy. Honored to be included. Great cookbook. I WILL PROBABLY PINCH MOST OF THE RECIPES....! YOU GO GIRL.........LUV YOUR COOKBOOKS. Bravo, Eileen! Another awesome book. thanks for including me. Hugs!! Beautiful cookbook Eileen with an excellent choice of recipes to choose from!